EVELYN MC MARKETING INTRODUCES NEW ENTERPRISE WORKSHOP TRAINING | Evelyn Mc Marketing! Welcome to our NEW enterprise training module created by Evelyn Mc Marketing. Evelyn, helps people in business seek opportunities, create great innovative content and network with others to grow their business. Its that simple! Evelyn has been involved with young enterprise and Transition year students for the past 7 years. Now she has joined her skills in business to her experience in young enterprise to create a NEW training, to help others learn, how setting up a business is child’s play! “Molly’s Eggcellent Enterprise” training will simplify the idea of enterprise and entrepreneurship to all ages. 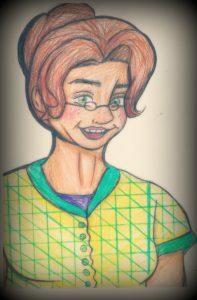 Through the story of a likeable character , Molly the farmer . 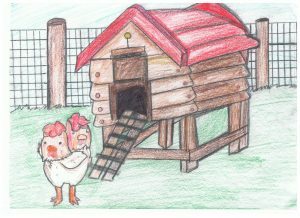 Molly’s hens have too many eggs and she steps into the world of enterprise, by selling them. Molly takes the key steps in creating, growing and promoting her business and brings the learner through her journey with her. Business is not as complicated as it seems! The workshops include delivery of Molly’s story, interaction with the learner, activity based learning, group work and feedback. Each key word will form the building block of the exercise and learning, and the students understanding will come from the fact that it is delivered in a simple way that everyone can understand. What is an entrepreneur? Whats networking all about? Social media what does it really do for a business? Target market who are they? e commerce, How do you sell eggs on the internet! Suitable for all age groups this workshop will inspire a “Can Do” attitude to becoming an entrepreneur no matter what your age.Workshops are delivered by the creator of Molly, Evelyn Mc Glynn, covering all aspects of the programme or can be targeted for a specific topic and learning group. Call Evelyn on 087 2246989 for further information. A short extract from Molly’s training workshop……..
One week she had way too many eggs and decided to sell what she didn’t need. The bank manager said he loved to support people like Molly who set up in business on their own (Sole Trader) and were willing to work really hard to succeed (ENTREPENEUR) . He also helped her make a list of all the things she would have to spend her money on in the business (Budget).